Who or what creates that which we perceive as reality? Is there an objective reality at all? What influence do we really have on the things that apparently “happen” to us? Does the famous “law of attraction” really work – and how? And can it really make you happy? 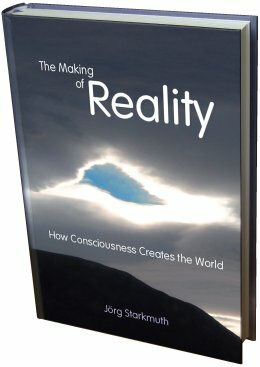 The creative power of consciousness, explained in comprehensible, yet precise language – including all important aspects, such as physics, parapsychology, spirituality, biology and happiness research. If you are wondering how the phenomena described in What The Bleep Do We Know?, The Secret, The Intention Experiment and countless other sources can be explained, this book is for you! Copyright © 2010-2013 Jörg Starkmuth. All Rights Reserved.